With two decades of live experience and six albums behind them, the Dub Pistols are one of the UK’s hardest-working bands. Often compared with The Specials and the 2-Tone bands of the ‘80s, they create a unique fusion of ska, hip-hop, dancehall and drum ‘n’ bass with a big helping of punk-rock attitude. Head honcho Barry Ashworth has always been the nucleus of the band, but they have collaborated with a host of guests in their time: rappers Busta Rhymes and Rodney P, reggae superstars Horace Andy and Gregory Isaacs, and Specials front man Terry Hall, to name a few. 2017 will see the release of a new, reggae-styled album and the warts ‘n’ all documentary What Could Possibly Go Wrong? charting 20 years of the band’s career. 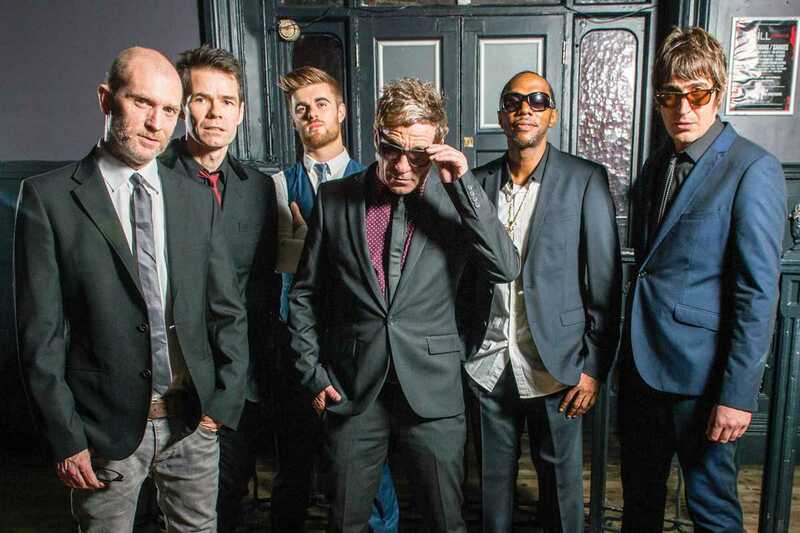 Live, Dub Pistols reveal why they are revered on the festival circuit, with rapper Seanie Tee and Ashworth leading the charge with jump-up anthems from their albums The Return of the Pistoleros and Worshipping the Dollar.